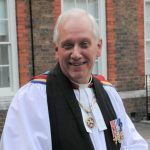 The current Chaplain of The Queen’s Chapel of the Savoy, The Reverend Canon Professor Peter Galloway OBE, will retire from his post on 31st July 2019. Peter has served as the Chapel’s full-time Chaplain since he was appointed by Her Majesty The Queen in Right of Her Duchy of Lancaster in February 2008. Preparations are now underway to identify suitable successors to the post. 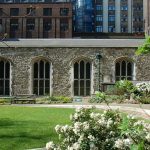 The Chapel is the last surviving building of a hospital founded by Henry VII for homeless people, the construction of which was completed just after his death in 1512. It stands on the area of London known as the Savoy and belongs to Her Majesty The Queen as part of the ancient inheritance known as the Duchy of Lancaster. 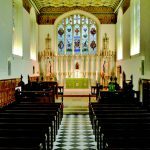 Although it is a ‘free’ chapel or ‘peculiar’, it became a Chapel Royal by Royal Command in 2016. This new arrangement mirrors the relationship between the Historic Royal Palaces and the Chapels at the Tower of London and Hampton Court Palace, bringing all Her Majesty’s Chapels in London under the ecclesiastical jurisdiction of the Dean. The Chapel remains an important part of the Savoy Estate, the Duchy of Lancaster’s principal London land holding. It also serves as the chapel of the Royal Victorian Order (RVO), an Order of Chivalry within the Sovereign’s personal gift. By the Statutes of the RVO the Chaplain of the Savoy is ex officio the Chaplain of the Order. For further information about The Queen’s Chapel of the Savoy and details of forthcoming services please visit the website www.royalchapelsavoy.org.